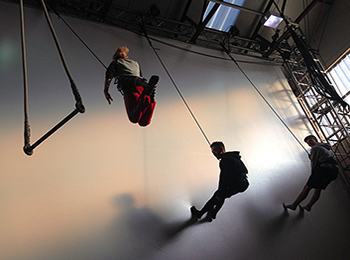 In 2010 we designed and implemented three degree-level Aerial Performance Modules at Edge Hill University, Liverpool and in 2014 we created two Aerial Performance Modules for LIPA (Liverpool Institute for Performing Arts), Bungee-Assisted Dance featuring proudly at both establishments. Wired delivers units at LIPA to second and third year students. 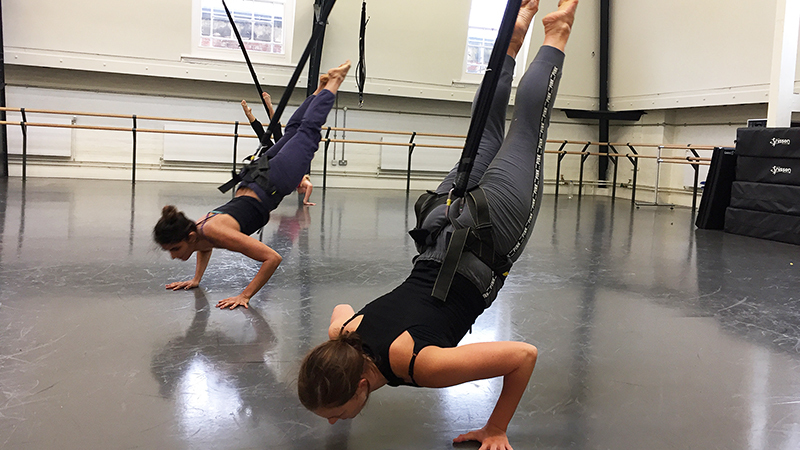 In the second year the students learn Aerial Circus with Daniella B. Larsen, Michaela Anders and Grace Turner. In the third year they take a unit called ‘the versatile performer’. 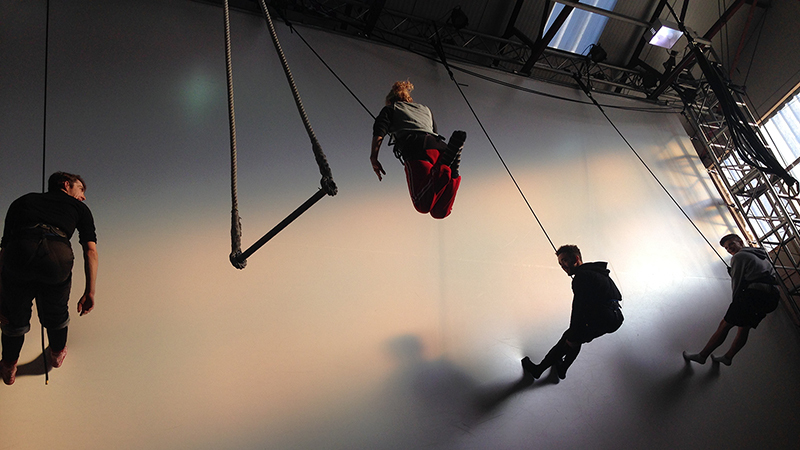 For eight weeks they are taught the skills on Bungee-Assisted Dance which is a technique created by Wired Aerial theatre. 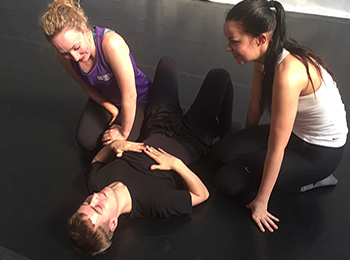 Last year at LIPA 60% of students got a first class grade or higher with many continuing on to explore the aerial world at The Higher Space. At Edge Hill the students can opt for two units in the second year of their course. 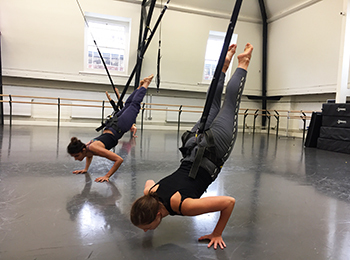 In the Bungee-Assisted dance they learn the skills and a set study and also work in group to explore merging Bungee-Assisted dance. 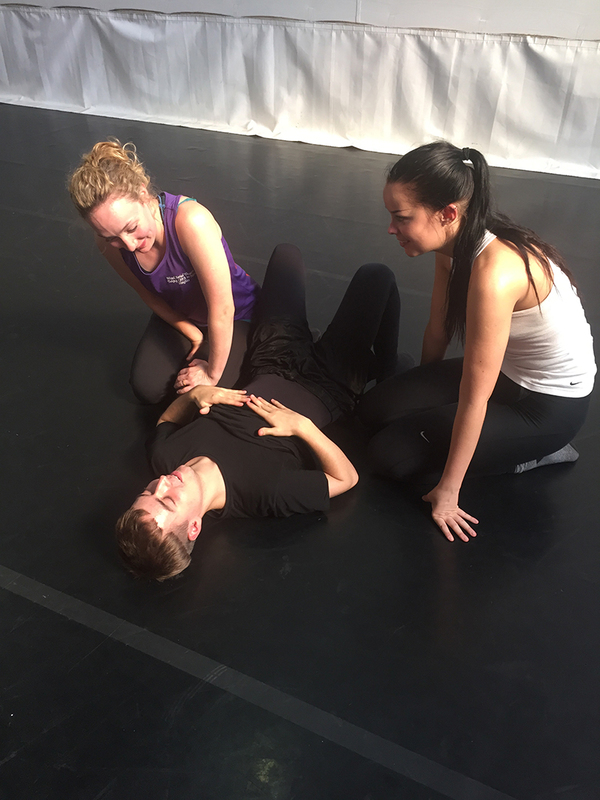 In the third year they can take the aerial performance project where they get to create their own piece of theatre including aerial. This year we have a vertical piece of truss which the students are hanging from, cocoons, and a hoop structure devised by the students in collaboration with our technical director, Jamie Ogilvie. They then perform their work in the studio theatre to a public audience. Over 50% of students gained a first class grade or higher in their module with us. Between them, these modules offer a comprehensive overview of both the history and current influences within the genre. We work closely with these Higher Educational organisations to agree on Learning Objectives and Learning Outcomes, and create a programme of work that then allows us to work with these in an exciting, inspiring and safe manner. We cover all aspects of delivery of the module (physical and theoretical) and devise and manage the assessment process, keeping all aspects of this work within the university framework. If you would like to find out how we can bring flight to your educational venue, contact us to find out more.